Falls are an all-too common occurrence among seniors, and the causes of falls can vary widely—from biological factors like changes in eyesight or hearing to environmental ones, such as missing a step or tripping on a rug. While Belmont Village is in the process of piloting a new fall-prevention program with TIRR Memorial Hermann at our West University and Hunters Creek communities this summer, all Belmont Village communities take proactive measures to prevent falls—starting from the first day residents arrive. Upon move-in, Belmont Village’s teams evaluate each resident closely to determine the full continuum of care each resident requires. This includes evaluating levels of fitness, such as agility and range of motion, as well as questionnaires to determine seniors’ confidence in tending to their own self-care. This baseline is then used to provide ongoing monitoring and care. 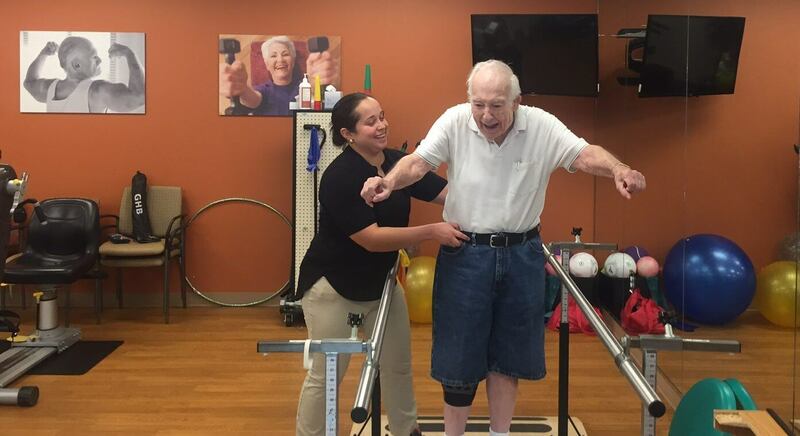 To reduce the chance of falls, Belmont Village partners with professional rehabilitation providers to offer in-house physical, speech and occupational therapy to residents. Belmont and rehab teams work together to help incoming residents and their families ensure that each apartment is set up appropriately to prevent falls, explains Lynn Nalodka, MHS, PT, Market Program Director for Rehab Care at Belmont Village West Lake Hills. This is particularly important for residents bringing furniture, rugs, and other personal items from home. In the event that a fall does happen, the level of care your loved one requires can vary greatly. That’s why the rehabilitation teams at Belmont Village follow specific processes and protocols with medical and other care teams to best support seniors. Given the many factors that can cause a fall, the rehab team first seeks to determine what happened, so they can work with the family to put into place additional safety and prevention measures. After discussing with the family and receiving instructions from the resident’s medical caregivers, the right therapeutic care plan is developed and carried out by the in-house rehabilitation team. These rehabilitation therapies are determined based on the seriousness of the fall, as well as any other medical conditions that could have led to the fall in the first place. 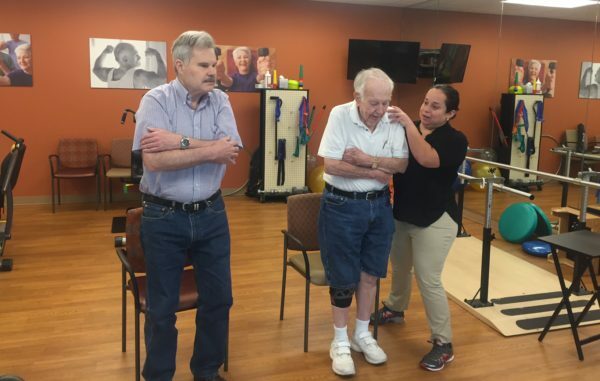 Therapeutic Evaluation: Depending on the resident’s care needs after a fall, these evaluations can range from physical therapy to help the resident regain balance or occupational therapy to help him or her return to daily living. For example, Nalodka explained that sometimes a resident may need to learn new strategies for dressing or mobility. This is something the rehab team can help them develop and become comfortable with. Please contact us to learn more about the health and wellness options at a Belmont Village near you.